New in 2015, Flower Munchkin has the Maggie Face, complete with freckles, and is 8 inches tall. 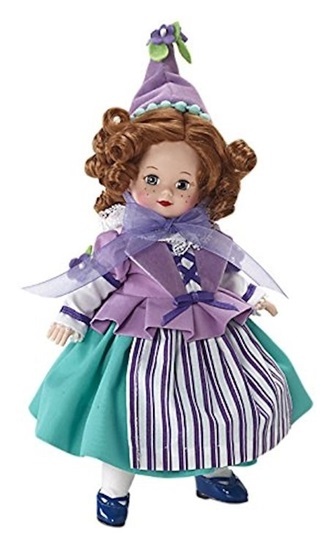 Colorfully dressed in a green and purple dress with flower trim and a matching hat, Flower Munchkin is fully articulated and has blue sleep eyes and red curly hair. She is a character from the Wizard of Oz, some say the prettiest Munchkin of them all. She is a fine collectible suitable for ages 14 and up.